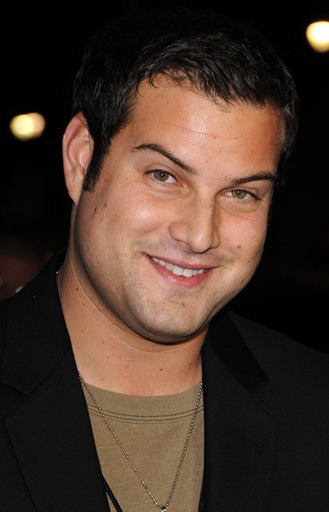 Max Adler plays closeted bully Karofsky on Glee, but the actor has a very un-Karofsky-like way of blowing off steam during his downtime on set: He's brainstorming an Oprah Winfrey musical with co-star Chris Colfer. "I told him I had just been to Vegas to see O, the show at the Bellagio," Adler tells TVGuide.com. "He said that every time he hears about O, he thinks it's some Oprah Winfrey musical. So we started joking about co-writing an Oprah musical — what songs would be in, what the themes would be. We were doing that in between these intense scenes. It's a great way to relieve all the tension and stress." And there's plenty of tension and stress for Karofsky on Glee this season. On Tuesday's Lady Gaga-inspired "Born This Way" episode (8/7c on Fox), New Directions learns to celebrate the attributes that make them unique, but it remains to be seen if Karofsky will follow their lead. Last time he was caught lashing out at Kurt (Colfer), he had to go see Principal Figgins (Iqbal Theba). On Tuesday, he returns to the principal's office to face Kurt and their respective parents once again. "I can't really spill what happens in that scene," Adler says, wary of spoiling any major plot points. "But it felt like this United Nations meeting. You have the fathers and sons and the principal and teachers. You're aware of who commands respect and who's backing off, who's trying to do what. There's this great tension that everybody feels in this circle that adds to the final result. I felt most proud of that scene as far as the whole body of work on Glee." Adler was thrilled to reunite with Daniel Roebuck, who plays his onscreen dad Paul Karofsky, and appreciates the direction creator Ryan Murphy took with the character. "He's obviously a very loving father who is concerned for his son," Adler says. "He knows about his grades, the groups he's involved with, the teams he's playing on. I like the fact that Ryan Murphy chose to not make him what everyone thought — including me — as this beer-drinking, abusive, berating father. It was a more interesting choice to have him actually be the loving, supportive, caring father to show that Karofsky's fears aren't really coming from home. It's more society that's really scaring him into denying who he is." Who Karofsky is, however, isn't as important as how he feels about himself. "I think everybody eventually wants to see Karofsky accept who he is," says Adler. "Just being himself and not having to hide who he is and mask who he is every day. Everyone wants to see that weight lifted. However, I do think it should take its proper time and its due course. Karofsky is such a great character to play as an arc because you can show the internal struggle that a closeted teen is going through on a daily basis." That struggle includes another confrontation with Kurt, whose openness about his sexuality both irritates and intrigues Karofsky. Adler says that both he and Colfer try to work with the subtext in those scenes. "For me, that's what is the magic of acting," Adler explains. "There are obviously words on the page, but for the audience it's more interesting to try to figure out what's going on in the character's heads as opposed to what's actually being said. I always try to carry that through every scene, and I feel that Chris does the same in that we'll be talking back and forth, but there's so much being said that's not being said. We both pick that up, and that's what brings the scene to life." Adler also enjoys his interactions in the episode with Naya Rivera, whose character Santana is also closeted. "She's got this fire inside of her that shines through her eyes," he says. "She's got this pizzazz that makes working with her really fun because she has such an understanding of her character. She brings all her A game to every scene. I can hear it one way going over the lines in my trailer, but when I get to set, it really brings it to life to have her there to work opposite." Karofsky's journey hasn't been an easy one and it's by no means over with "Born This Way." 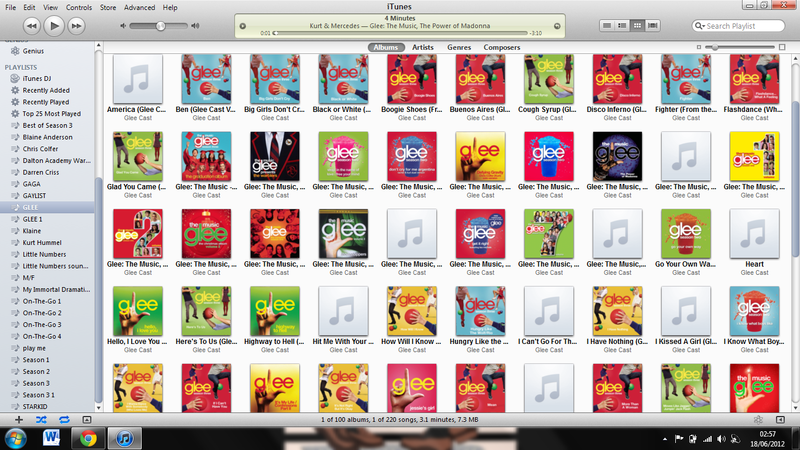 Although Adler doesn't know what's in store for McKinley High's second-most notorious bully (Sue Sylvester is No. 1, natch), he expects Karofsky fans to remain supportive. "The fans have been incredible, in fact, I think they've increased their loyalty," says Adler. "They want to see his redemption and his joy and his happiness more than Karofsky even knows. They're in it with Karofsky to the end." What would you like to see in Karofsky's future?